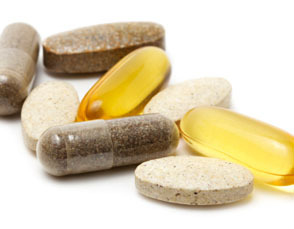 Supplement refill orders may be submitted by phone, email, or by placing your order online. Many of our products are customized or require special orders. Please allow 48 hours to fill your request. When calling or emailing, please let us know what products you would like to refill (brand name, product name, and quantity) so that we may accurately refill your supplements. To order online, please select your practitioner’s name and follow the link to place your order directly through Emerson Ecologics. If this is your first time using this service, you will be guided to set up an account. The password you’ll need should be given to you by your doctor. Please call the office if you have any questions. Please note, some products are not available to refill online. I went to see Dr. DiBaccio for an initial consult because of some symptoms that have been worked up by a few other physicians and no answers. During my free 15 min consult that actually went well over 15, she was very interested in my story of some current health problems I have been experiencing, already developing some thoughts about some of the possibilities that were not explored by my PCP. I am looking forward to working with Dr. DiBaccio to solve my mystery.